Penn’s AJ Brodeur averaged 17.5 points and 5.0 rebounds while shooting 15 for 20 from the field in wins at Columbia and Cornell that clinched the Quakers one of the four berths in the Ivy League playoffs. 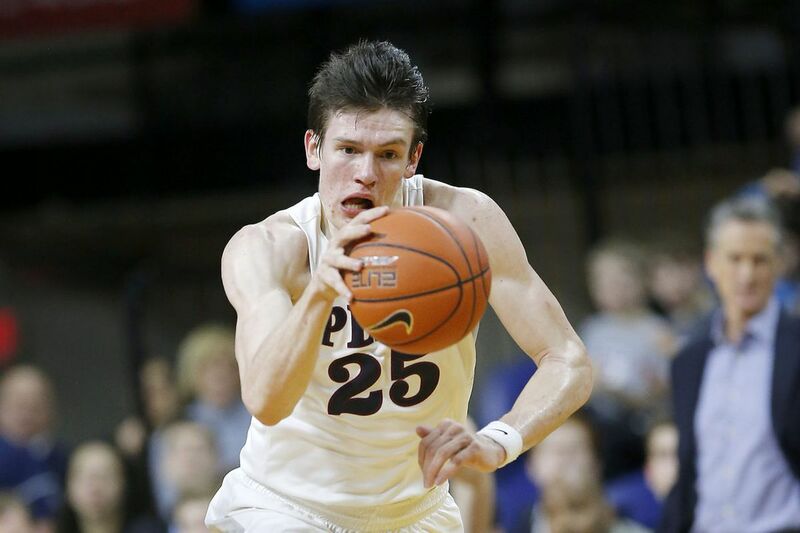 Penn sophomore AJ Brodeur has been named Ivy League basketball player of the week. The 6-foot-8 Brodeur averaged 17.5 points and 5.0 rebounds while shooting 15 for 20 from the field in wins at Columbia and Cornell that clinched the Quakers one of the four berths in the Ivy League playoffs. In Friday's 74-62 win at Columbia he scored 14 points, shooting 7 for 10 from the field. Brodeur also had five rebounds, four assists, three blocks and two steals. During Saturday's 79-71 win at Cornell, Brodeur scored 21 points, shooting 8 of 10 from the field, while making all five free throws. He also contributed five rebounds, four assists, a block and steal. The Quakers, who are 19-7 overall, host Dartmouth on Friday and Harvard on Saturday at the Palestra.